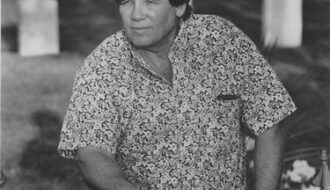 James Lee Burke is the author of detective fiction set in Louisiana. As a writer of detective fiction, James Lee Burke has made of Louisiana what Raymond Chandler and Ross MacDonald made of Los Angeles. While rooting his stories in a specific place and time, Burke addresses universal themes, including the abuse of power and authority, the battle between good and evil, and the influence of the past on the present. Though perhaps best known for his series of detective novels featuring Cajun detective Dave Robicheaux, Burke has written other kinds of fiction and set his stories in Montana and Texas, as well as in his native Louisiana. The Mystery Writers of America awarded Burke two Edgar Awards: one for Black Cherry Blues and one for Cimarron Rose, as well as its Grand Master Award. Despite having been rejected by publishers 111 times, Burke’s 1986 novel, The Lost Get-Back Boogie, was nominated for a Pulitzer Prize. Born in Houston, Texas, in 1936, Burke grew up near the Texas-Louisiana coast. After attending the University of Louisiana, Lafayette, Burke completed his master’s degree in English at the University of Missouri in 1960. His first novel, Half of Paradise, was published five years later, followed by two more novels in the early seventies. Except for a short story collection and a western novel, he published nothing else until 1987. Since the publication of The Neon Rain in that year, Burke’s commercial success has been exceeded only by his critical acclaim. Like fellow Southern writer William Faulkner, Burke writes about land he knows from years of personal experience. 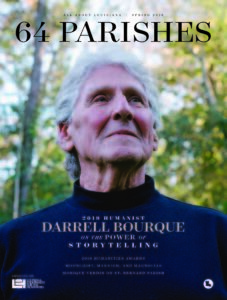 Like his protagonist, New Orleans cop-turned-detective Dave Robicheaux, Burke lives half of each year in New Iberia. The hero of his other series, Texas attorney Billy Bob Holland, lives in Missoula, Montana, where Burke’s second home is located. Montana is also the setting for The Lost Get-Back Boogie, in which protagonist Ivy Paret strikes out with a former cellmate to Montana’s Bitterroot Valley. Though Burke has brought literary life to some of the most terrifying sociopaths in fiction, most of his criminals are ordinary people without the skills or fortitude to stay on the right side of the law. People who abuse their positions of power and cause widespread harm make up a third category of villain. A Burke hero tends to battle seemingly impossible odds, often at great personal cost, on behalf of people too powerless to protect themselves. For example, in Heaven’s Prisoners, Dave Robicheaux arrives home too late to prevent his wife’s murder, and in Jolie Blon’s Bounce, he fights a painkiller addiction after a devastating beating. The Robicheaux novels often strike an elegiac tone. In Purple Cane Road, for example, Robicheaux investigates the murder of his mother, a prostitute, a generation after her death. In Last Stop at Elysian Fields, Robicheaux laments the gradual disappearance of traditional Cajun culture. Similarly, in The Tin Roof Blowdown, Robicheaux works in the aftermath of Hurricane Katrina, witnessing the destruction of the city where he was once a police officer. Burke is neither morbid nor pessimistic, however. Much humor is found in Robicheaux’s dialogue with a wide gamut of scoundrels. In addition, his former police partner, the corpulent and politically incorrect Clete Purcel, provides comic relief. Burke has said that he sees Robicheaux and Purcel as a latter-day Don Quixote and Sancho Panza. While Burke’s protagonists battle systemic corruption, this corruption is never seen as unique to Louisiana. Though most of his novels are set in the Pelican State, Burke’s heroes encounter situations just as complex and intractable in Montana and Texas. His writing exhibits a particularly keen understanding of the reciprocal relationship between geography and politics, especially in stories about people standing up to developers and polluters. All of Burke’s fiction deals with the challenge of achieving justice in an imperfect world, and the high price that good people must pay to overcome evil and corruption. Avoiding the tendency to reduce characters to flat stereotypes, Burke depicts imperfect good people coexisting with complex bad ones—all of whom are haunted by an indelible sense of place. This ability to communicate the universal through the particular makes Burke not merely a significant Louisiana writer, but a consistently lucid voice in American fiction. Ells, Kevin "James Lee Burke." In https://64parishes.org Encyclopedia of Louisiana, edited by David Johnson. Louisiana Endowment for the Humanities, 2010–. 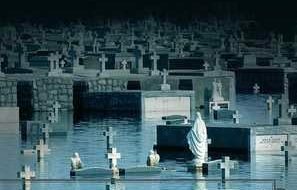 Article published January 3, 2011. https://64parishes.org/entry/james-lee-burke-2. Bogue, Barbara. 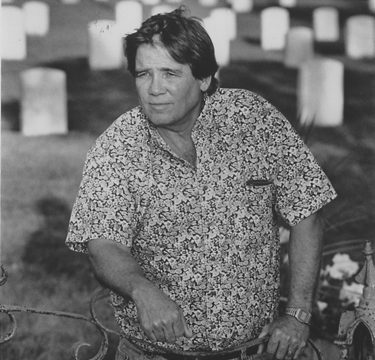 James Lee Burke and the Soul of Dave Robicheaux: A Critical Study of the Crime Fiction Series. Jefferson, NC: McFarland & Company, 2006. Carney, Rob. “Clete Purcel to the Rampaging Rescue: Looking for the Hard-Boiled in James Lee Burke’s Dixie City Jam.” Southern Quarterly 34 (Summer 1996): 121-130. Easterling, Thomas. 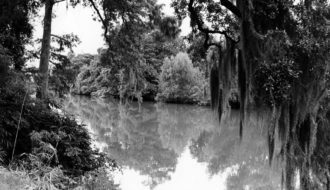 ‘All Our Stories Begin Here’: Heroism and Sense of Place in James Lee Burke’s Dave Robicheaux Mystery Series. 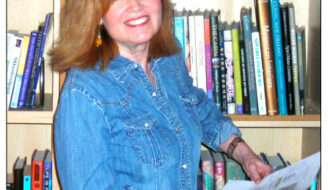 Songs of the New South: Writing Contemporary Louisiana edited by Suzanne Disheroon-Green and Lisa Abney, 57-65. Westport, CT: Greenwood, 2001. Hebert-Leiter, Maria. Becoming Cajun, Becoming American: The Acadian in American Literature from Longfellow to James Lee Burke. Baton Rouge, LA: Louisiana State University Press, 2009. Jebb, John F. and J. Kenneth Van Dover. “New Orleans Detectives—Hard-boiled Gumbo: The Corringtons, James Lee Burke, Julie Smith, James Sallis.” Isn’t Justice Always Unfair? The Detective In Southern Literature. Bowling Green, OH: Bowling State University, 1996. Leenhouts, Anneke. “Local Noir: Putting Southern Louisiana on the Map in the Crime Fiction of James Lee Burke,” in‘Writing’ Nation and ‘Writing’ Region in America, edited by Theo D’Haen and Hans Bertens, 217-225. Amsterdam, Netherlands: VU University Press, 1996.